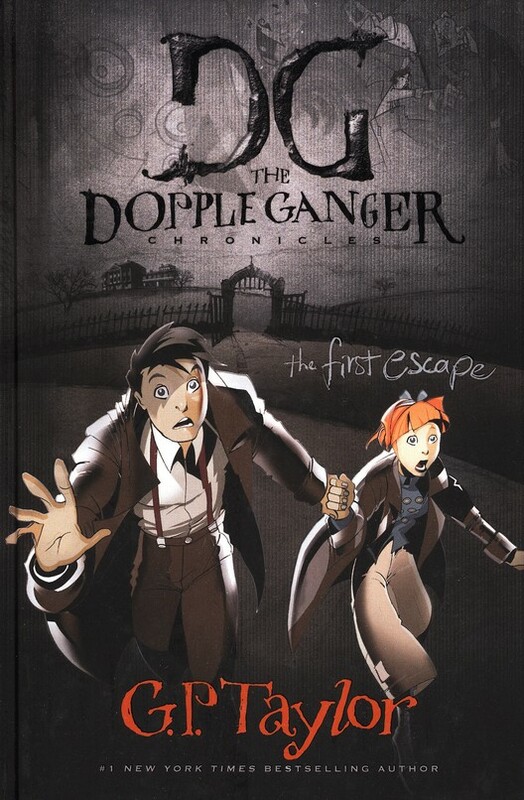 This book is the first installment of The Dopple Ganger Chronicles. Twin sisters, Sadie and Saskia Dopple, are seperated when a strange, wealthy woman shows up at Isambard Dunstan’s School for Wayward Children and adopts Saskia, but not Sadie. Saskia finds there’s more going on in her new home than meets the eye. Sadie, back at the school, finds herself in serious trouble. With the help of Erik Ganger, Sadie sets out to find Saskia and the three children meet all sorts of strange people along the way. Who can they trust? What’s really going on? And who is Oscar? Written as a mixture that is part novel, part graphic novel, this book is very interesting. If you have a child that doesn’t like to read very much, this is somewhere to start. The characters are vivid, and the graphics help with that though help is not needed. The story keeps you invloved and waiting to see what will happen next. This series is written as Juvenile Christian Fiction, but you have to get about halfway through the story before you see any elements of it. I suspect more may show up in later installments. The children are very mischevious, especially toward the beginning and seem to have a reputation at the school for being troublemakers. Again, I expect this would change as the series continues and the characters grow. What bothered me more than anything were a few parts that had some slightly gruesome descriptions, such as a swan being hit by a speeding car. And there are elements of murder and more grownup themes that are probably not good for a young child. That stops me from suggesting this book for young children. I would say this book is more for pre-teens and young teens, or older. I enjoyed it as an adult. Not scarey, but suspenseful… but could be scarey for a young child. Overall, a good read and a good start to what could end up being a wonderful series if moved in the right direction. This was book 11 in my 52 Books in 52 Weeks challenge.